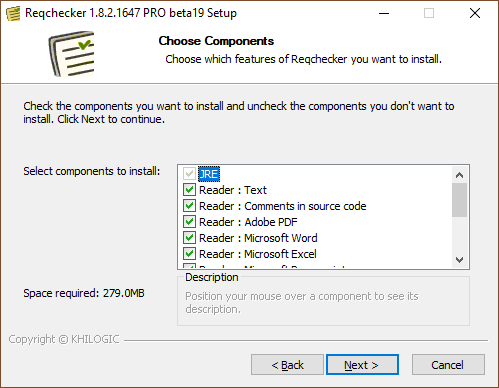 This section presents how to install REQCHECKER™ FREE. A PDF reader application to read the PDF reports. See Input Formats to get requirements depending on the format you will use. (optional) Internet connection is required to receive update notifications. 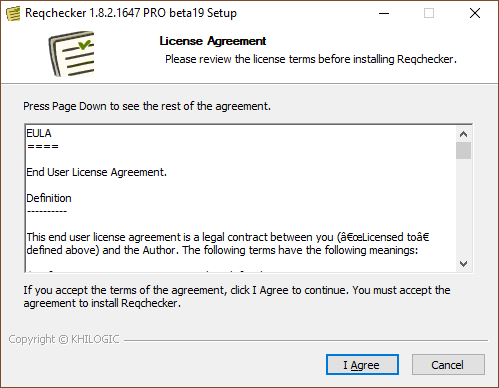 REQCHECKER™ FREE Setup is standalone, certified free of viruses and digitally signed. You can test the latest features by installing a development version which offers new functionality and improved features. We've thoroughly tested this beta version. However, it might have bugs, it's still in the beta stage, which means we can't guarantee the same print reliability as our stable versions. 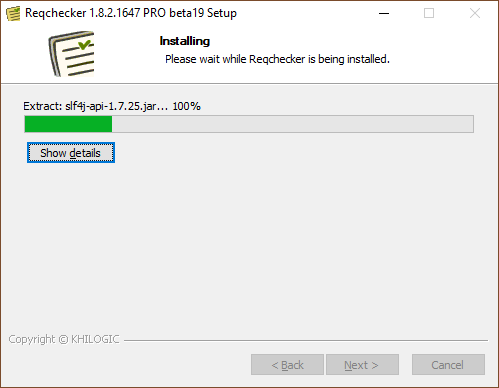 If you're working on an important project, we strongly recommend that you use the latest stable version. Launch the setup. The setup is certified free of viruses. Select required components. Keeping the default value is recommended. Select target directory. Keeping the default value is recommended. 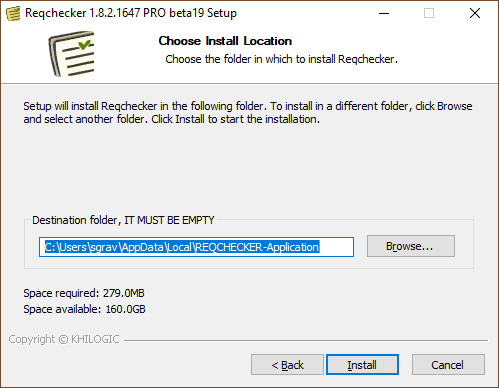 Unzip REQCHECKER™ add-in for Word installation ZIP file in a temporary directory.